quickly bolted from one end of the office to the other almost knocking the poor unsuspecting delivery man down. I was busting to know what was in the parcel! As I quickly scrambled to open the mysterious box – barely waiting until the poor man had left – my eyes caught sight of what lay beneath…. A sea of PINK! The gorgeous sea of pink was a beautiful pink bouquet and wait for it….. It was edible! I felt like Verruca Salt from Willy Wonka, spoilt and about to enjoy on a pressie I could eat!! Bedazzled by all the pink goodness I did what anyone else would do – I took selfies with it…. Lots and lots… I Facebooked… I Instagrammed and when that didn’t seem enough I texted! Finally when I came off my bragging high I took a moment to absorb my new friend and was wowed by how cleverly put together it was. My gorgeous bouquet was filled with delicious dark chocolate and strawberry filled Lindt balls (can anyone say amazeballs? ), super cute pink milk chocolate hearts and my absolute fave pink bubbles!! This bouquet could have easily been called Mrs Tink (or as my many hashtags said #pinktink) it was filled with all my fave things and was styled in an uber cute pink bucket and tied with ribbon. It was just like a bouquet of flowers except tastier! 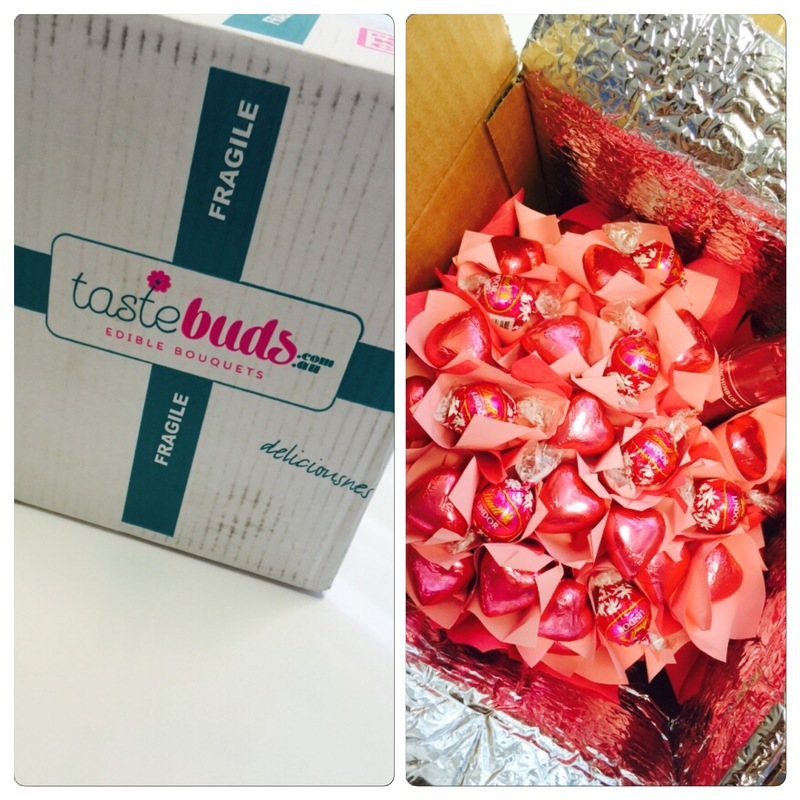 Tastebuds cater for every occasion and are sure to make your loved one smile (not to mention take a ton of selfies showing off your gift). Their edible bouquets are unique, fun and can be delivered to their door easily and unlike flowers they won’t die or require water! For the same cost of a flower bouquet you can send a unique present to your loved one and know you are not only going to make their day but you are giving them a gift that keeps on giving and will warm their heart with yumminess. And just when you think Tastebuds can’t get any better, you will also be tickled pink to know they offer FREE next day delivery to most locations which means if you’ve missed someone specials birthday, anniversary or special moment you can redeem yourself in a flash! So are you sitting at home drooling over my gorgeous pink Tastebuds bouquet, wishing you could enjoy one yourself? Or do you have a special loved one you would like to make smile? Well you’re in luck because the beautiful team at Tastebuds are giving one lucky reader the chance to WIN the same bouquet as mine valued at $64. So how do you enter? Easy! P.S. if you would like to order a Tastebuds bouquet while online simply mention MRSTINK at checkout for $10 off. I would love to win the Pink Ribbon Charity hamper 1. because pink is my favourite colour and 2. because all profits generated by the purchase of this Bouquet will be donated directly to the Pink Ribbon Foundation. My family have been affected by breast cancer and I think this bouquet would be lovely to receive and it is nice to help out to the Pink Ribbon Foundation as well. I’d love the Pink Delight Chocolate Bouquet, I’d give it to my dear friend who needs a little cheering up at the moment, share some bubbles and chockies with her and hopefully a few little smiles. Both leading busy live the Weekend Away chocolate bouquet will give my partner and I an excuse to stop and relax. 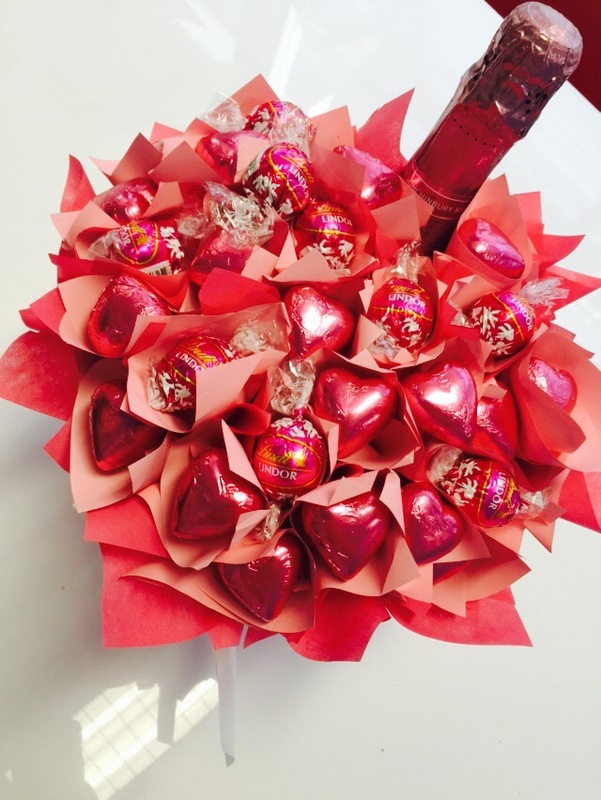 I absolutely love the ‘It’s love chocolate bouquet’. Not many people know, but I secretly adore teddies and I think receiving this gift from a loved one or giving it to someone would be the best feeling. Plus, plain milk chocolate is my favourite (gee, I sound like a bundle of fun hey? haha) Last of all I am obsessed with gifts that have a practical use so the fact that this bouquet comes with a white tin (I’m thinking bathroom decoration, or new desk caddy) is really cool! I like the one with the Lindt chocolate – oh that’s a lot of the bouquets you say? You’d be correct! Lindt is awesome. I would have to be selfish with my answer here and say I would love this for myself – it would be a yummy little pick me up. 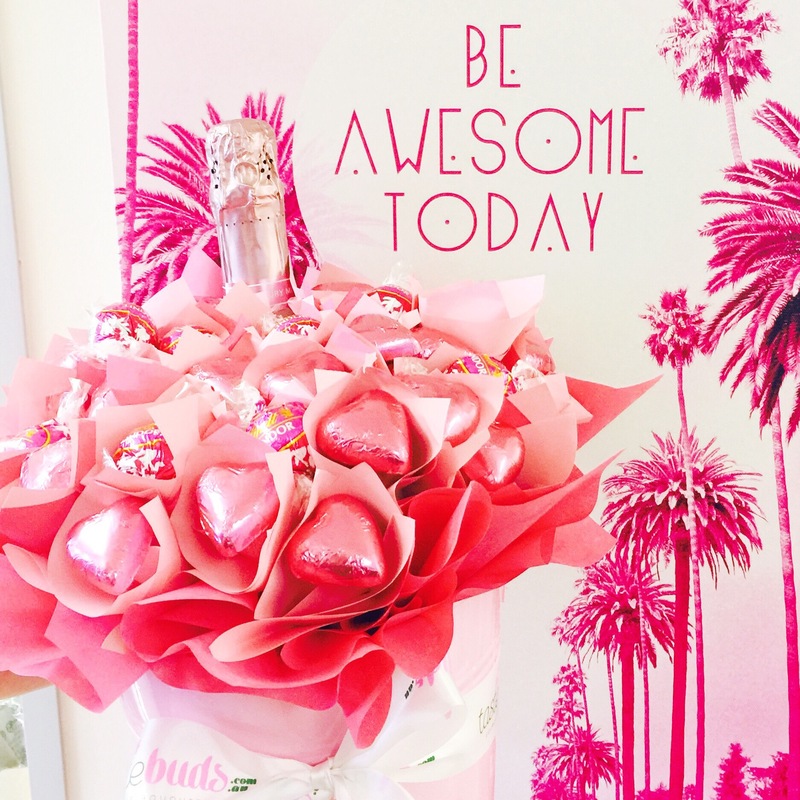 I love the Pink delight chocolate bouquet because it’s perfectly pink and very Chic. Mrs Tink your a real stunner, everything matches beautifully 🙂 I absolutely love tastebuds Lindt Indulgence as l am a real fan of Lindt and l would share this with my best friend as she loves Lindt just as much as I do . Purple sensation chocolate supply, because: I love abundance and colour, in the form of chocolate who could go wrong!! No-one would send that gift back. Winning this delightful prize would be such a treat!